As we here at Mobile Social Work are still figuring out the use of smartphones Helen Reynolds from Ace Digital Comms is already one step ahead. 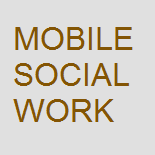 Check out her inspiring ideas about the use of Google Glass in social care (… and social work). This post will look at five ways Google Glass (and the inevitable other brands’ wearable devices) may change our understanding of how to protect vulnerable people, look after youngsters and improve life for older people. Google Glass, if you don’t know, is a wearable computer with a head-mounted display – it takes voice commands and uses the internet to give you information. In front of your eyes you can see directions, data and all sorts. Watch Sergey Brin talk about Google Glass at TED 2013 for a summary of what it does. Before I start – I know that there are issues, like the fact that there is no indication that the camera is recording, and lots of privacy problems and ethical considerations we’ve not discovered and resolved yet. This entry was posted on June 17, 2013 by Lutz Siemer in Ideas, VIDEO and tagged Ace Digital Comms, councils, Glass, google, Google Glass, Helen Reynolds, local government, Project Glass, Searching, Social Care, social media, Wearable computer, Youtube.